With the regular season starting a week from Thursday, the time for Farhan Zaidi and Bruce Bochy to make final cuts is fast approaching. The toughest decisions may involve the bullpen, and whether the club will start with 13 pitchers on their roster, or lose one of the young arms that has impressed in spring. Giants beat writer Andrew Baggarly joined Murph & Mac on Thursday morning, and highlighted two young relievers he thinks San Francisco will have a hard time letting walk. In 43 combined appearances with the Blue Jays’ Single-A and Double-A affiliates, Bergen was similarly dominant in 2018, posting a 0.95 ERA while striking out 11.8 per nine innings. Gott also hasn’t allowed a run this spring in seven appearances. The 26-year old struggled with Washington last year, but was much better with their Triple-A affiliate posting a 1.057 WHIP in 28 games. 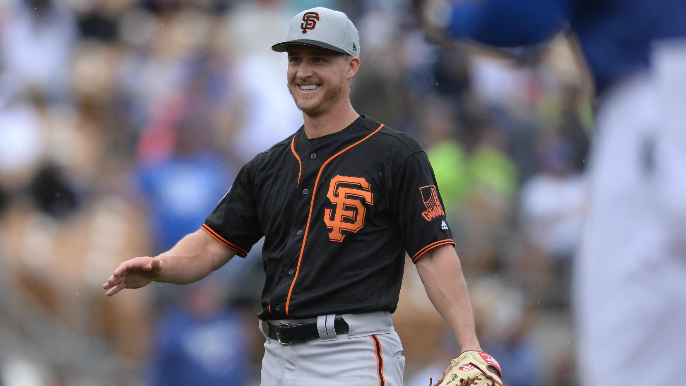 Though the Giants would likely want to keep both, the rest of the veteran talent in the bullpen could make the decision tricky. Listen to the full interview below. To hear Baggs on the bullpen, start from 2:50.